Smart multi-functional Lighting Poles from HESS for smart cities. 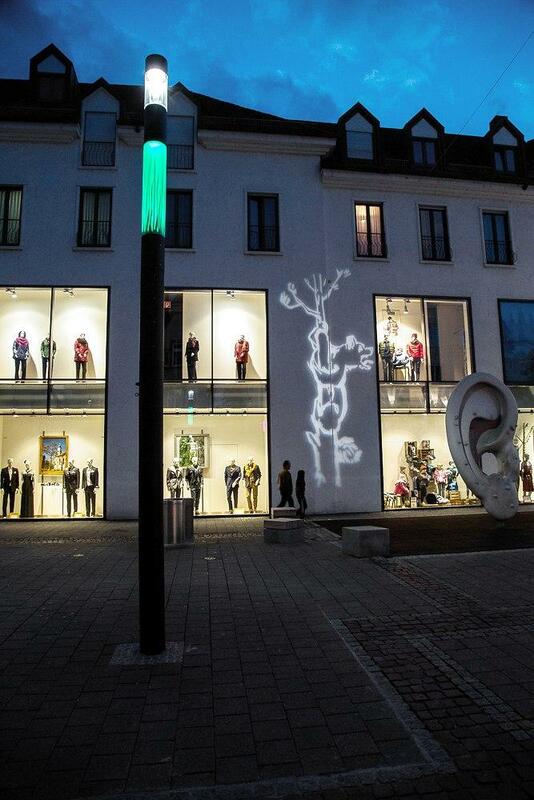 HESS, Germany has the most versatile LED Smart multi-functional Lighting Poles on offer, the City Elements family of products. 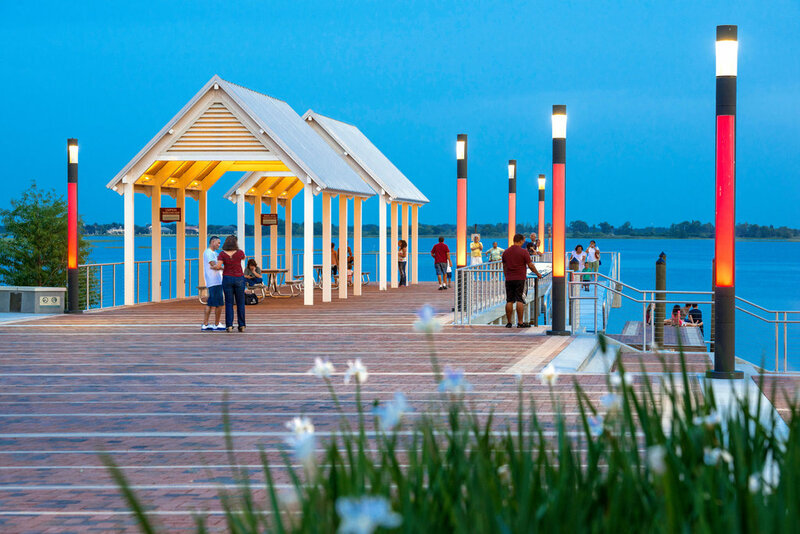 City Elements is a very minimalistic design approach for outdoor lighting of public spaces. 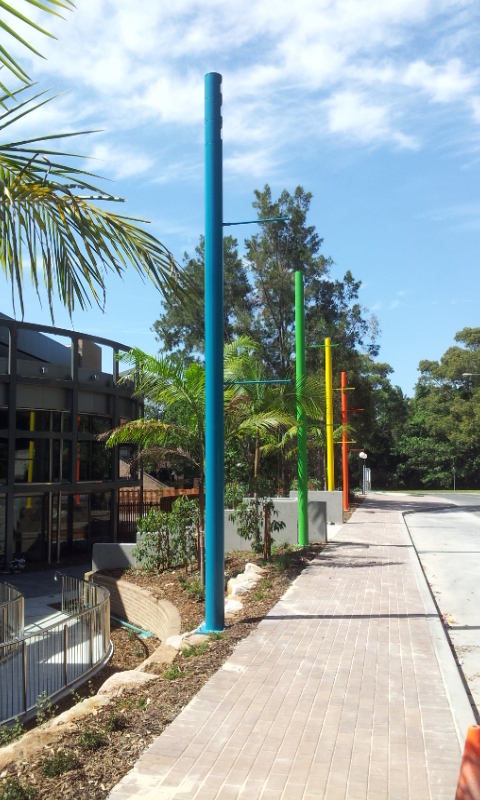 It is a LED lighting system which comprises of different tubular elements stacked together to a height up to 11m for the 230mm diameter pole, up to 9m for the 200mm pole and up to 6m for the 180mm diameter pole. 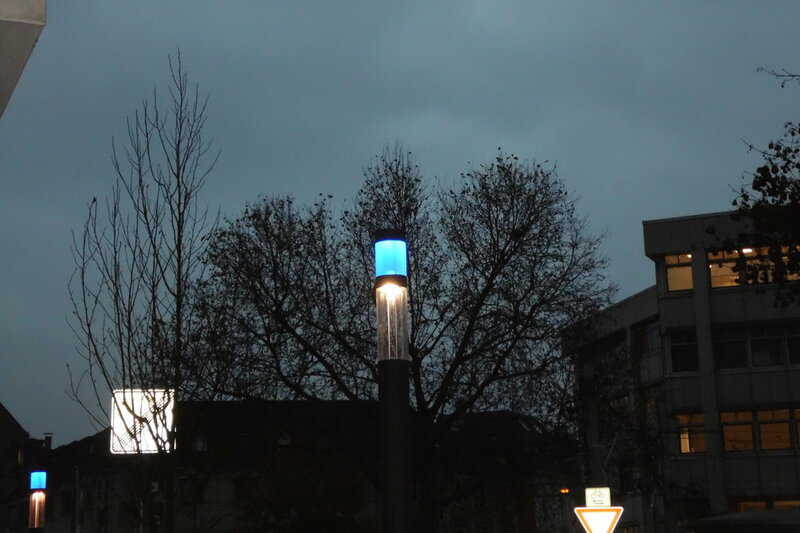 These smart multi-functional lighting poles are the solution for smart cities to customize the street lighting for their needs over and above pure lighting. All P and V categories are achievable with wide spacing. The modular light column system City Elements is made up typically of three element/module groups: always a top element, sometimes one or more intermediate elements and always a base element.The lighting can be remotely controlled and managed in the cloud via a wireless control system. With many element types in these three groups you have total control of the design and functionality of these light poles. Also the heights are customizable in increments of 10cm. These lighting elements are available with different light distributions and LED wattages to cover applications from street to area lighting, but also spot and up- and down lighting. The elements are made of tubular marine grade aluminum and have different window designs. The LED spots are available in different light colours from 3000K to 6,000K but also in RGBW – DMX controlled. Several speaker options are available, which can be integrated into the poles: BOSE, JVC or powerful Bosch speakers. Not only one, but several speaker flush integrated and pointing in different directions in one pole are possible. There are several module options available to fully integrate one or more CCTV cameras into the lighting poles, for example here the BK element which allows a suitable CCTV dome camera a 270° view. Other modules allow smaller viewing angles, but are less obvious. 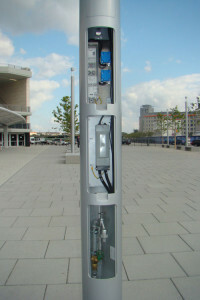 One of the popular options is the integration of a WIFI access point into the pole. The access point can be integrated into the top element and the antenna sits nearly invisible behind the window of the top element. Several different access points are available. It is easily possible to integrate invisible gobo projectors into the modular light column. With these gobo projectors you can project images, logos or pattern onto nearby surfaces, e. g. building walls. Another option is the integration of power outlets or water faucets into the base elements of these poles. And behind a second access door in the base element is space for both options. That is very usefully for temporary events. Special elements are available to allow the seamless integration of environmental sensors. With the help of optional horizontal banner arms, vertical banners can be installed along the poles. Check out this YouTube video showing the manufacturing of a customized City Elements solution for the Doha Convention Centre. Customizations are always possible based on the existing various elements – below some pictures. Please contact us for more information!